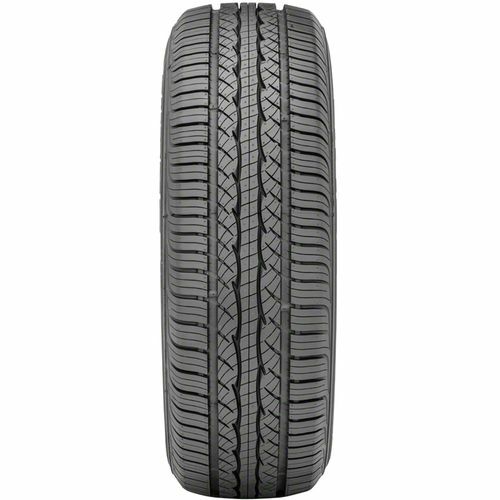 The Kumho Solus KR21 is an all-season tire specially developed for drivers who are looking for reliable handling, year-round traction, and exceptional comfort. 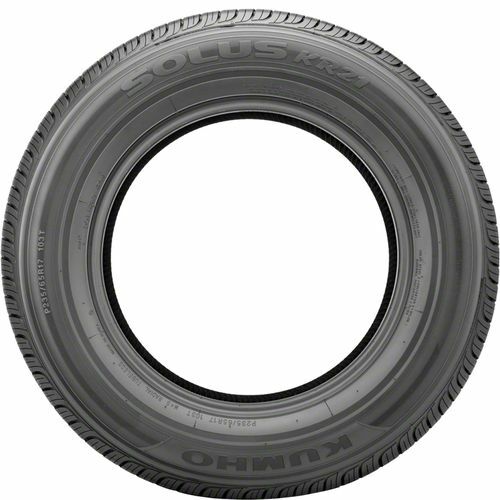 Ideal for mid-sized vehicles, sedans, crossover utility vehicles, and minivans, the Kumho Solus KR21 features an advanced carbon tread compound molded into a symmetric tread design to provide dry, wet, and light snow traction. To isolate harshness from the road while lowering vibration are the jointless, spiral-wound bead bundles. 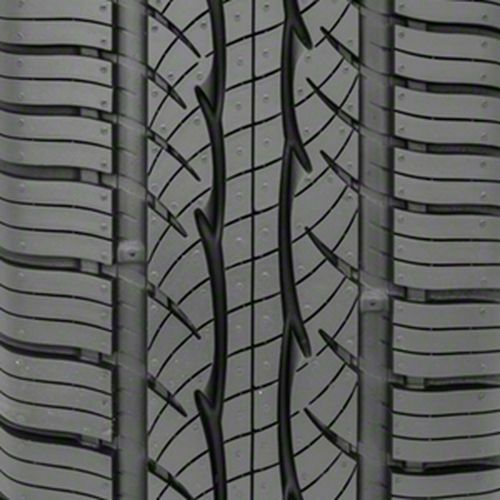 The full-depth sipes help cut through water and light snow while extending the life of the tire. For higher durability and stability are the nylon belt edge layers which are typically found in high performance tires. Providing enhanced handling and steering response is the Kumho Solus KR21™s ESCOT tension control technology which increases tension in the shoulder and bead area. To get the most out of the Kumho Solus KR21, it is recommended to use them in sets of four. It is backed by a 85,000-mile treadwear warranty. 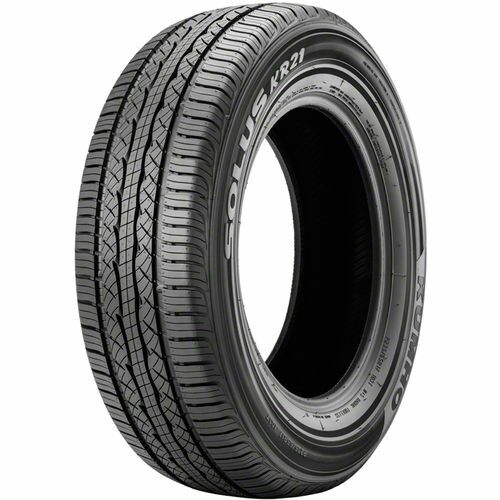 P205/60R-16 680AB 1,356 lbs 44 psi 11/32nds 5.5-7.5" 8" N/A 26"
Purchase includes the Kumho Solus KR21 tire only. The wheel rim shown in the picture is not included. Picture provided is a stock picture from the manufacturer and may or may not reflect the actual product being ordered. All Kumho Solus KR21 tires are continuously developing with manufactured improvements. With that said, Simple Tire and the manufacturers have the right to change these tire specifications at any time without notice or obligation. Please Note: Specifications of the Kumho Solus KR21 tires shown above are listed to be as accurate as possible based on the information provided to us by Kumho tires. This product is covered by a 85,000 mile manufacturer’s treadlife warranty. In a packed snow loses alittle traction otherwise no problem would buy again. By submitting a review, each person received a sweepstakes entry. Bought these for my daughters vehicle. By submitting a review, each person received a sweepstakes entry.